Do you have thinning or missing eyebrows? Maybe you simply want fuller, more shapely brows. Whether you have very little brow hair or no hair at all, microblading is one of the best cosmetic solutions for achieving fuller, beautiful eyebrows. Eyebrows are essential to the symmetry of your face and are one of the key facial features that convey different facial expressions and emotions. When eyebrows are either too thin or nonexistent, these features are altered. While there a number of pencil liners, powders, and brow gels that promise natural colors, long-lasting wear, and precision applications, the truth is, these simply don’t compare to the results from microblading. If you have been considering having this procedure done, here are three reasons why you should commit. 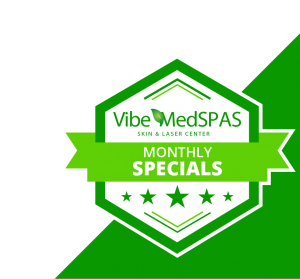 Then, when you’re ready to get gorgeous, effortless brows, call Vibe MedSpas, your Top Rated Local® med spa in Scottsdale, to book an appointment with our skilled microblading artists. Microblading involves the use of tiny tattoo needles to manually apply natural-looking, semi-permanent pigments to the dermis. While clients may experience some slight discomfort, the entire process is noninvasive and painless. Unlike many other cosmetic procedures, there is very little downtime with microblading. 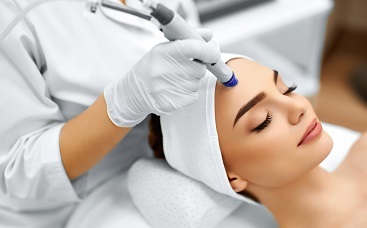 While you will need to keep the area along your browline dry for seven to ten days after undergoing the procedure, you can go about your daily activities in a relatively normal manner. We recommend sleeping on your back for the first week to avoid rubbing off the pigment or irritating the application area, and definitely no swimming for the first week. Microblading pigment is applied to your natural brow line in light, thin strokes that resemble brow hairs. Your artist will consult with your prior to your procedure to determine a desired shape and color that perfectly matches the natural look you wish to achieve. Ready to book a microblading appointment with one of our highly-skilled artists? 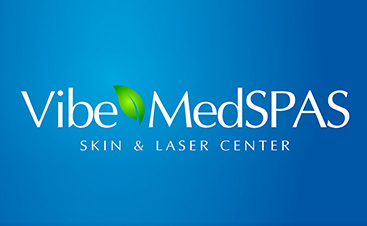 Contact Vibe MedSpas, the Top Rated Local® med spa in Scottsdale to arrange a consultation and appointment. 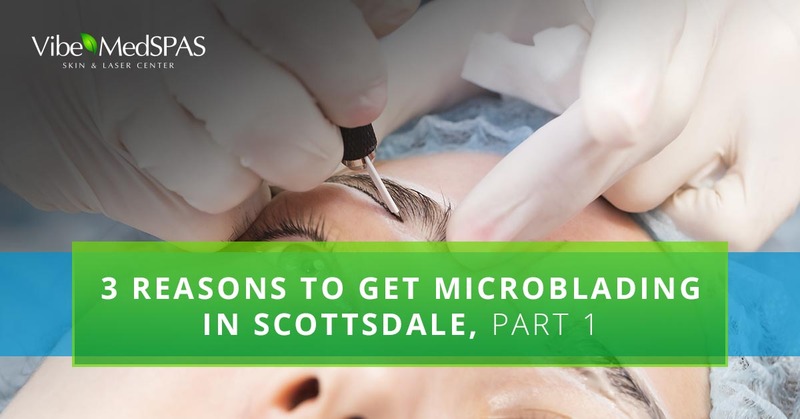 Be sure to tune in for part two of this short blog series to learn even more reasons to try microblading in Scottsdale.